These heavy-duty wire racks make classroom storage a breeze! Each rack holds trays filled with cakes of vibrant student-grade tempera paint. The cakes measure 2-1/4" x 11/16". The trays are reusable. 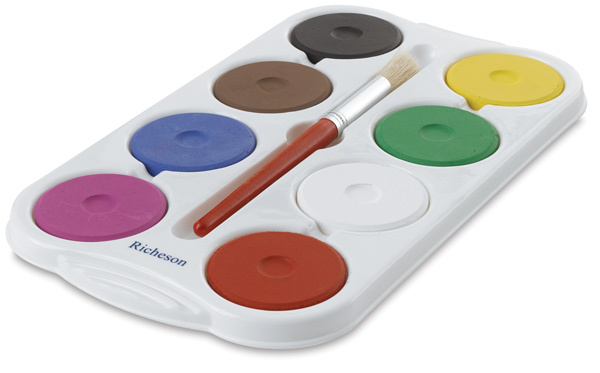 This set includes Black, White, Yellow, Red, Blue, Green, Brown, and Purple tempera cakes in a 6-1/2" × 11-3/4" muffin-style tray. A brush is also included.